IT is experiencing a shift from the traditional client–server model to Cloud computing which promises to make IT not just cheaper, but also faster, easier, more flexible and more effective – wherever you are. Collaborate and share information more easily – the cloud enables your employees to interact more efficiently, and access information from nearly anywhere and on any device, increases productivity. Protect sensitive data – Using Cloud-based services gives you the peace of mind that if your equipment gets damaged, lost or stolen, your sensitive data remains protected and available. 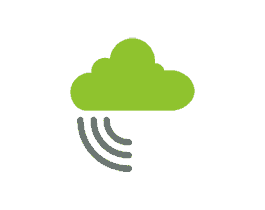 Reduce costs and resource strain – Automatic security and software updates in Cloud-based services enable your business to save the time and money that are required when you have to maintain onsite infrastructure. Our superior hosting services and cloud computing support cater for all types of businesses: from those with low requirements to high-end users needing huge amounts of disk space and bandwidth to run their websites. Office 365 consolidates many business-productivity services into a single Cloud-based solution, which you can choose to run in the way that works best for your business: on-premises, as a hosted service, or as a combination of on-premises and a hosted service. Office 365 allows your employees work to the best of their abilities, wherever they are, with the confidence that their data is protected. Whether they want to access their latest files on the road, or connect with team members from a remote location, Office 365 gives employees a best-in-class mobile productivity solution, combined with the protection and control your business needs. With Office 365, you have access to enterprise-grade business tools you know and love, including Word, PowerPoint and Excel. Packages are designed for small- and medium-sized businesses, at an affordable monthly subscription rate. As a subscriber, you benefit from product improvements that are ever-more integrated and adaptive to the way you and your teams work. Plus, Office 365 updates automatically across all its applications, so you don’t have to worry about upgrades. Interested to know more about Office 365?